Choose between 1) individual training or 2) a small cluster of up to 12 peer students led by Susan Whitcomb or Kim Avery (cluster format also requires 5 hours of individual mentor coaching). 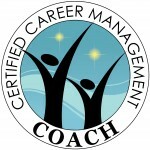 Either way, we can GUARANTEE that if you do the work you will come away with the know-how to qualify for the certification of Certified Career Management Coach. Materials fee: Also required for the course is the text: “Co-Active Coaching” ($39.95) available through amazon.com and retail booksellers.